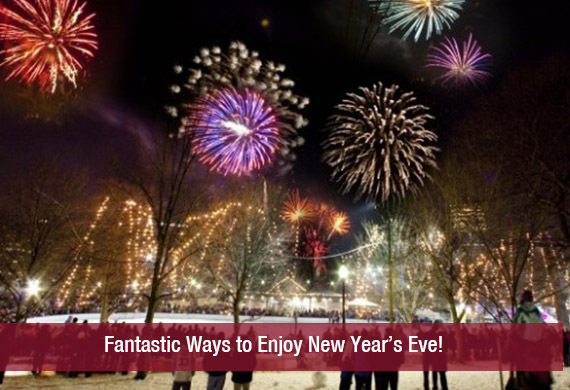 You are at:Home»Weddings»Event Planning»Fantastic Ways to Enjoy New Year’s Eve! Fantastic Ways to Enjoy New Year’s Eve! New Year is around the corner and you’re still planning for “what to do”. Hang on guys!!! These last minute planning I tell you sometimes end up creating a mess and turning you simply nowhere. Aha!!! Don’t need to worry people. Rather, check out these really fantastic ideas that might be new to you to celebrate the arrival of the day with full ‘Masti’ & ‘Dhamaal’. Host a Theme party – If you’re planning to throw a party at your place, then how about a theme party is a big question! Yeah guys, it’s not a rocket science you just need to turn your normal gathering into a specific theme such as ‘20s. Whether it’s your friends or relatives everyone would have to be dressed up in a funky outfit. How cool is that. And chillax, it doesn’t have to be as crazy as if there’ll be no tomorrow. But yeah, theme party is one of the interesting and entertaining ways that you can’t stop enjoying whole night. Hang Around with Friends – If you have nothing to do then what could be more fun & entertaining than hanging out with friends and recalling your old times that you have spent together while doing a New Year’s dinner party at a posh restaurant or bar. I always have fun with my friends and I think it’s the most classic way that you can enjoy the New Year Eve. Plan a Trip – Plan a trip, wherever you like. There could be lots of fun if you really love travelling. I have many friends who have gone for a trip especially to celebrate New Year and I think I should also plan something interesting like skiing, river rafting or underwater diving trip with my friends. Go for shopping – Well, if you are a kind of person who doesn’t like partying or outing, then it’s a perfect time to pamper yourself by buying favorite stuff for yourself. It’s a great time to change your clothing style with the change in the year. you cannot miss the fun experience of shopping at #khoobsurati.com. So, here are just a few choices of ideas that you can opt to welcome the coming year and make fantastic memories for ever.